We've had cover art and full box pics, but now we have an unboxing video for the physical release of World of Final Fantasy Maxima in Asia. Check out all the content in the video above! We got some box shots of World of Final Fantasy Maxima for the Nintendo Switch! 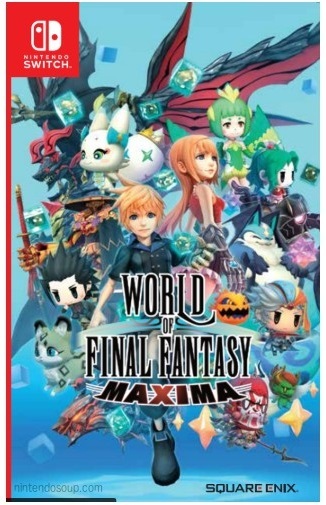 As we've posted about a few times now, World of Final Fantasy Maxima is getting a retail release in Asia, and it includes an English translation. Now you can see the full game box, both front and back! We have some bad news for those in Southeast Asia who are planning to pick up World of Final Fantasy Maxima. The game was originally slated to launch in late February 2019, but has now been pushed back to March 2, 2019. Not a huge delay, but a delay nonetheless. Southeast Asia has scored yet another Switch physical release. 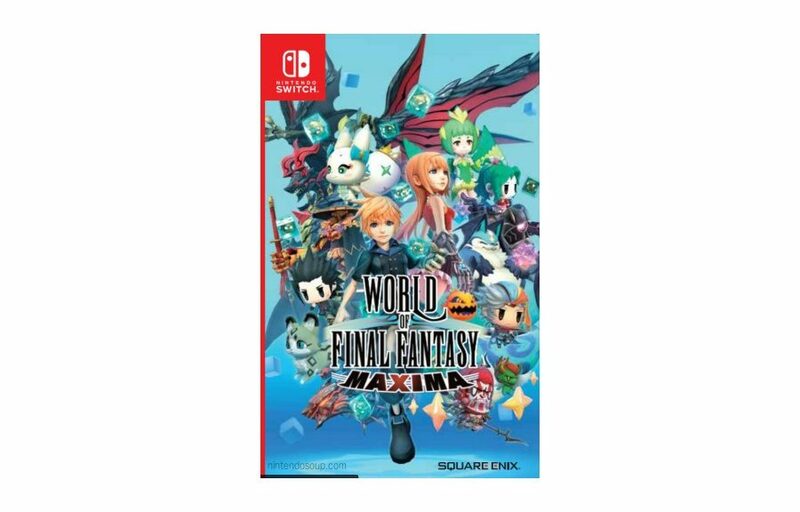 Square-Enix is doing a physical version of World of Final Fantasy Maxima in the region, and it's due out Feb. 19th, 2019. If you want to import a copy, you'll be happy to know that the game supports English, Chinese, Japanese, Korean, French, Italian, German, and Spanish. Here's a first for a Switch game, as far as we know. World of Final Fantasy Maxima has an issue with switching resolutions between handheld and docked modes. However you start playing the game dictates the resolution the game will stay at. If you start in handheld mode and then dock your system, the visuals on TV will be that of handheld mode. In the GIF above, you see what the game looks like when docked first, as well as what the game looks like when playing in handheld mode and then transferred to docked. The same goes for docked to handheld, as the game will retain higher quality visuals from docked mode when you remove the Switch from the dock to play handheld. The only way to fix this issue is to restart the game. How good of a job did Square-Enix do bringing World of Final Fantasy Maxima to the Switch? Let's check out a direct comparison between the PS4 and Switch versions. The Denjin Getcha gang continues to check out the latest games. Have a look at their segments on World of Final Fantasy Maxima, as well as Puyo Puyo eSports above. Tuesday, November 6, 2018 — LONDON – Square Enix Ltd., today welcomes new adventurers to discover the magical world of Grymoire in WORLD OF FINAL FANTASY® MAXIMA, which is now available on the Nintendo Switch, Xbox One, STEAM and PlayStation®4 computer entertainment system. World of Final Fantasy Maxima isn't a hugely demanding game in the visuals department, but it's still nice to see how things measure up in both modes. Check out the footage and see how things work out.